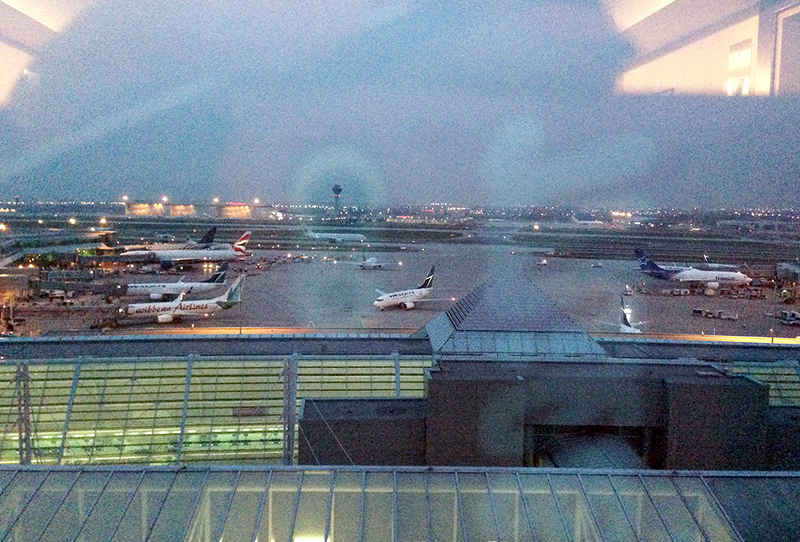 Toronto Pearson Airport is literally surrounded with hotels, but only one is located within the actual airport itself! 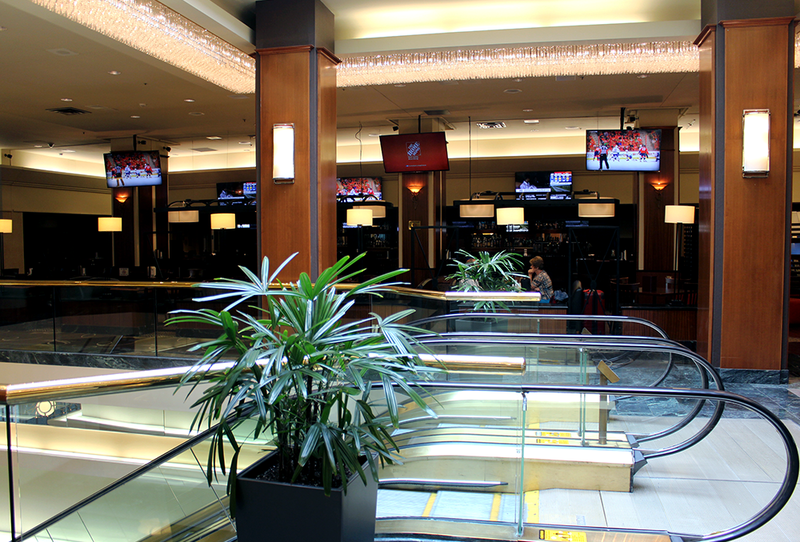 If you’re flying to/from Toronto and don’t want to to deal with the hassle of taxis, finding your way around an unfamiliar city, or have to leave for an early morning/late night flight, the Sheraton is located right in Terminal 3!! 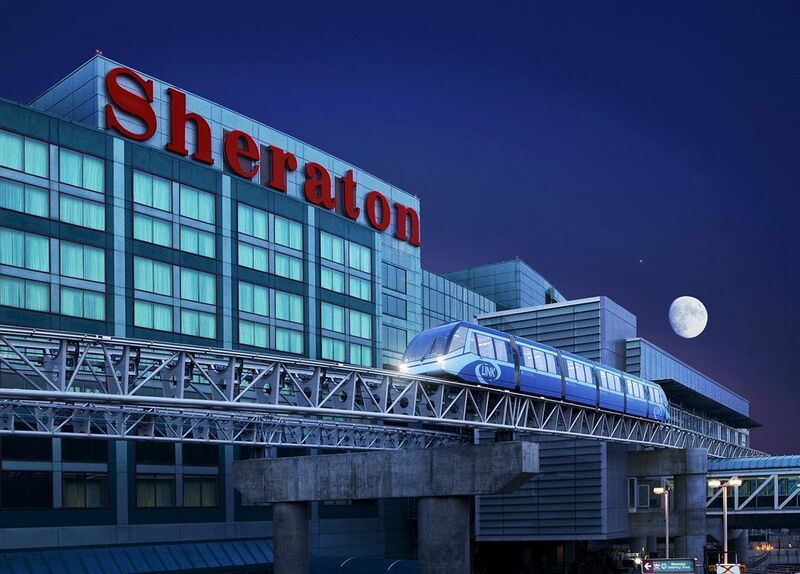 The Sheraton Gateway Hotel is located in Toronto Airport! Driving to the hotel was a bit of a mission – the roads leading up/around the airport are a nightmare so it took us 4 laps around the airport before we found the airport! You have to drive through the parking lot to the top floor in order to get to the hotel entrance. 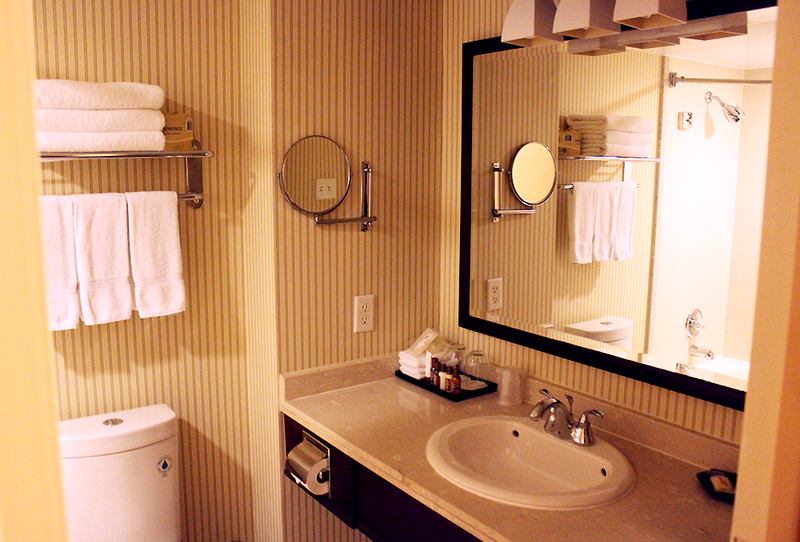 Parking is $30 a night, but there’s a value parking lot just a short distance away. Access to Terminal 1 is also super easy, as the hotel is connected to the terminal link monorail train. Stairs leading up from Terminal 1. If you’re arriving from there, you can just take the bridge from the airport straight to the hotel! Check in was at 3PM but I arrived at around 7 because I was busy packing up/running errands earlier that day. Was quickly checked in and given a key to the Sheraton Club level on the 8th floor! The rooms on this floor receive special perks such as free internet and a club lounge (with yummy snacksssss but you’ll see more of that later!)! 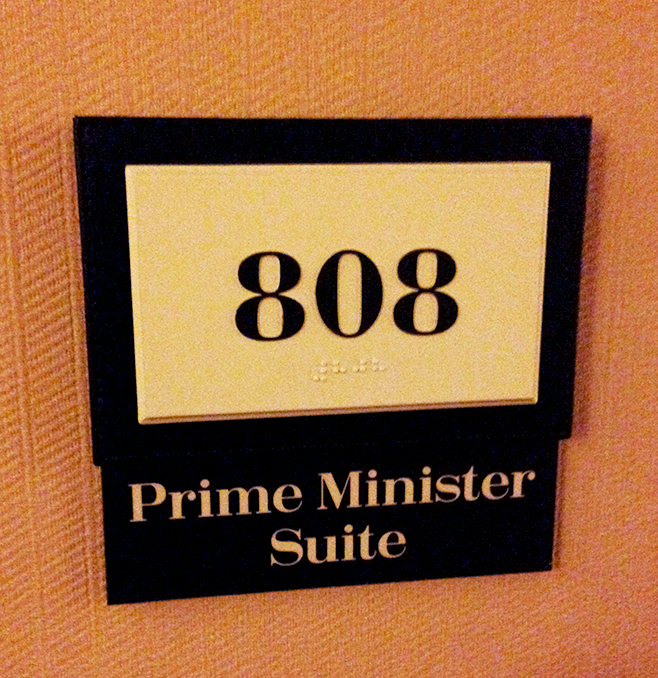 I was upgraded to the Prime Minister Suite. Walked into the room to be greeted with a letter personally welcoming me for my stay, as well as a bottle of coke, a little dessert cup (which didn’t survive the photo) and some fruit/cheese! The personalized touch really made me feel welcome! Upon entering, the first things you notice – a conference table with some fancy chairs – most likely used for business meetings. There’s a large flat-screen TV mounted on the wall behind me, great for presentations. Or if you’re like me, sitting at the table eating desserts and feeling super important. In the back – a mini living room with a very nice sofa and chair! 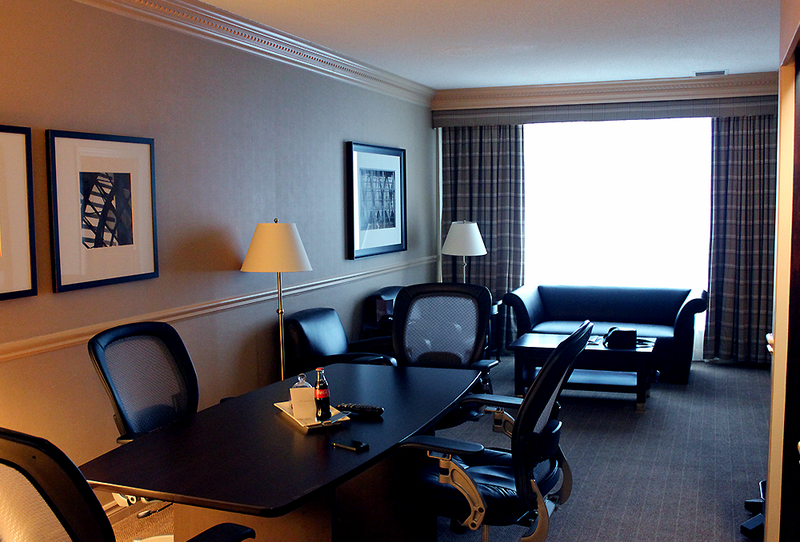 This room’s view overlooks the parking lot, however there are other rooms available that overlook the airport runways. In case you’re wondering about the noise – the hotel is located at the airport, so that means non-stop airplanes overhead right? This was a concern of mine until I learned that the windows are double paned so you don’t hear anything! 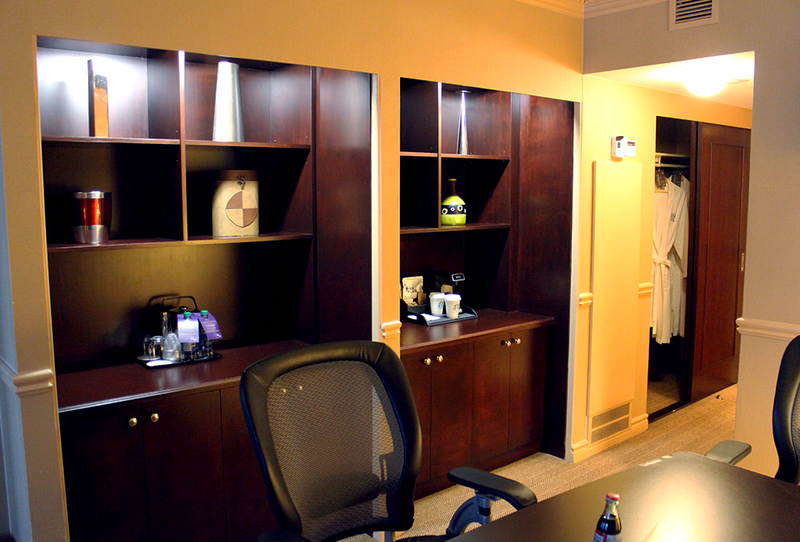 The side room is lined with cabinets, complimentary waters, a coffee maker, and a mini fridge located the left side cabinet. In the back closet, there were even 2 cotton dressing gowns! Couldn’t resist taking some bathroom selfies. 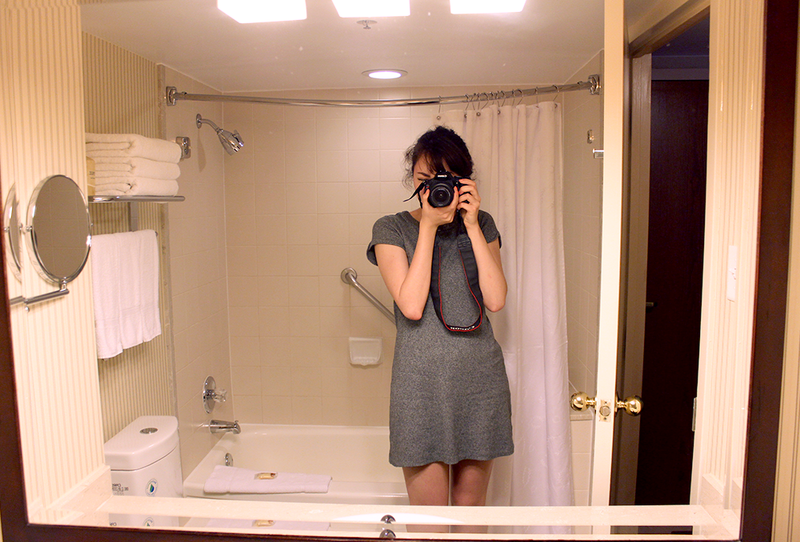 Super nice, spacious bathroom. Comes with loads of nice freebies in case you forget anything – the usual shampoo/conditioner, body wash, a bath loofah, mini sewing kit… they really have you covered! Next, onto the part you’re probably the most interested about… The bedroom! You may have seen me tweeting about the room on my twitter! 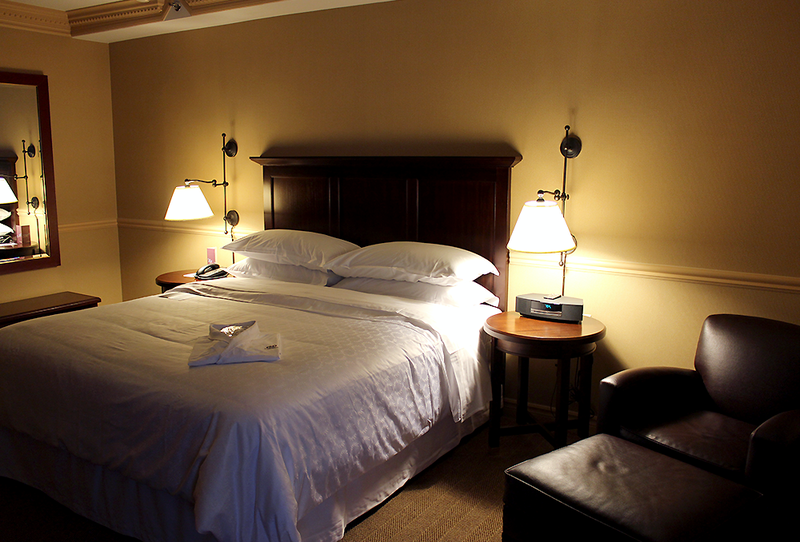 The beds were so comfortable, I felt like I was sinking into a cloud. The view from the doorway. The bedroom has a king sized bed (yay more room to roll around and cosy up! 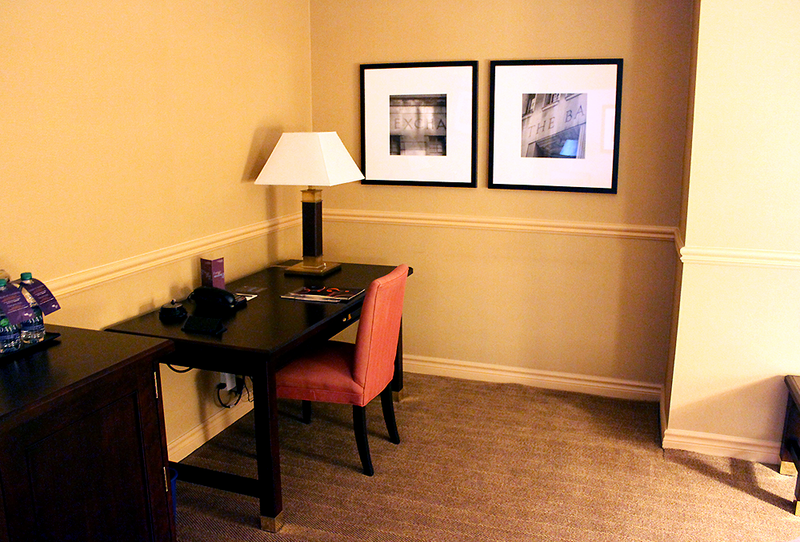 ), a bose sound system, a large dresser, a desk and a large flat screen TV! There is also a bench in front of a large mirror. 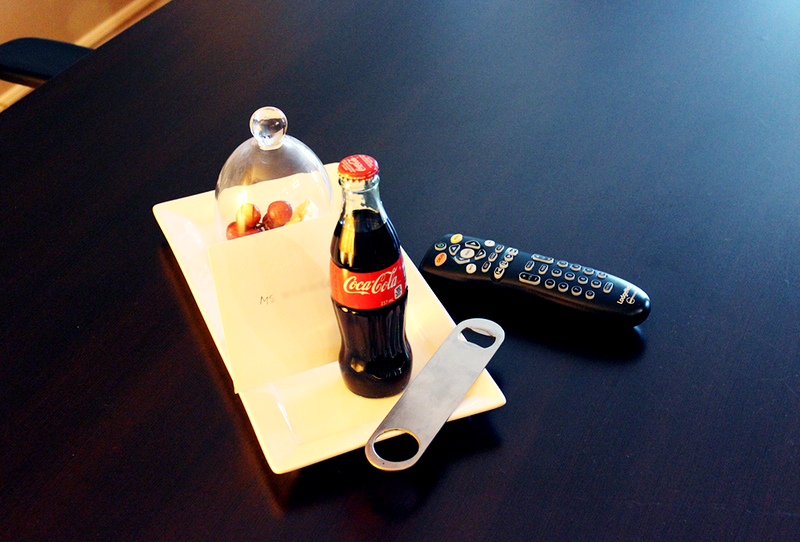 I basically just cosied up and watched Food Network all night before falling asleep… The bed was so soft! Exploring the room was really fun… but there’s more! There’s a Sheraton Club lounge located by the elevators. 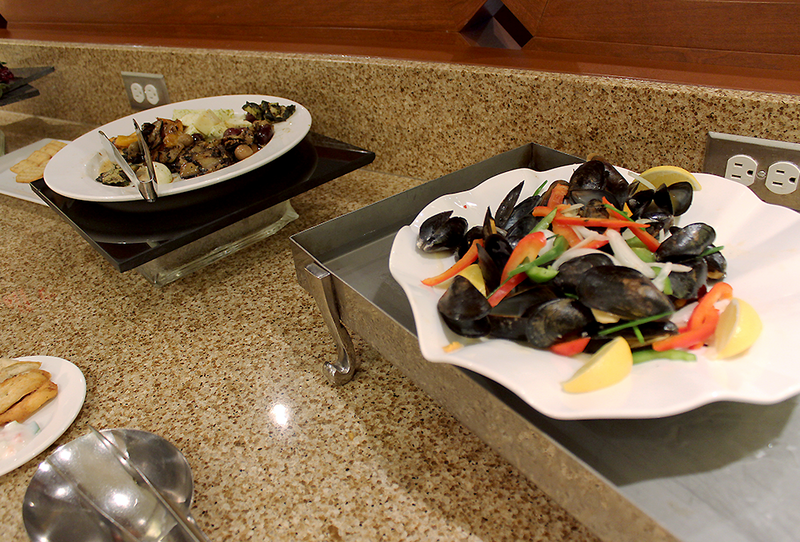 Sheraton Club hosts hors d’oeuvres until about 8:30PM, so we popped by for a light evening snack. 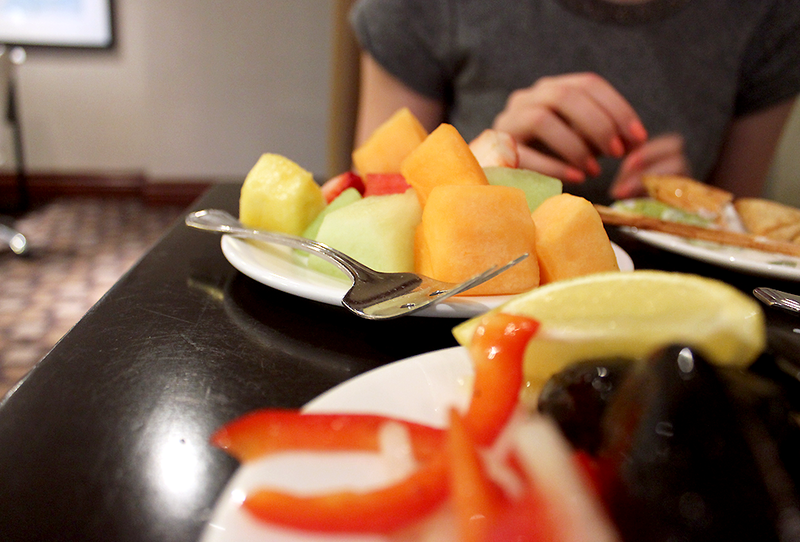 Finished off with some fruit and women’s FIFA! I don’t know who was playing (USA vs…?) 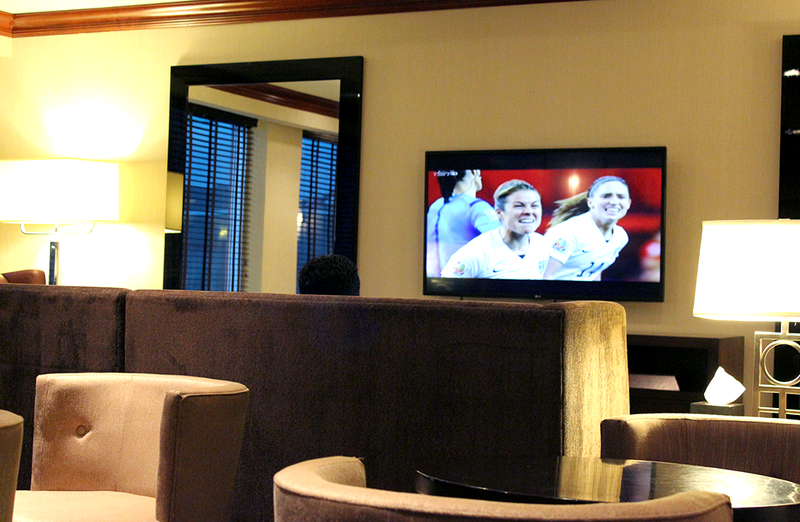 but there was a guy sitting at the couch in front of the TV who was getting quite into it! Haha!! After we finished up, we headed back to the room. 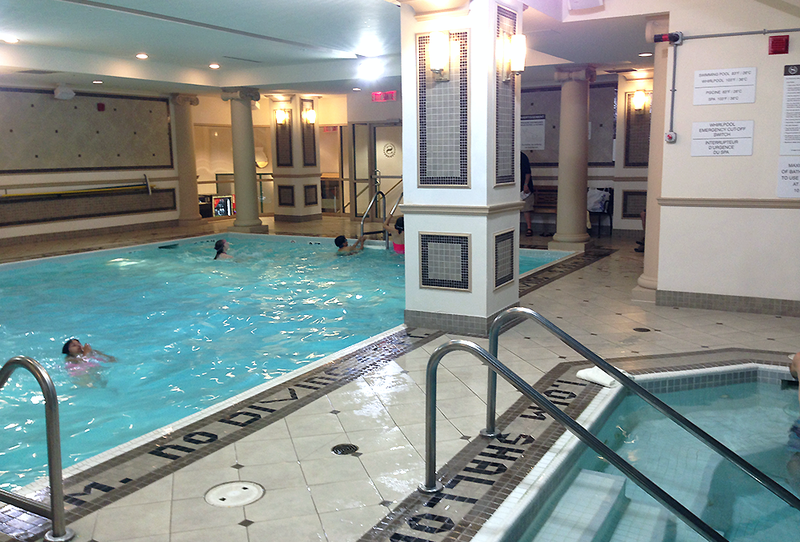 Whilst looking through the list of amenities that the Sheraton had to offer, we noticed that there was an indoor pool! Headed down for a little swim before bed. View from the window by the elevator. What a cool view! There weren’t too many people, only 2 families and their kids. 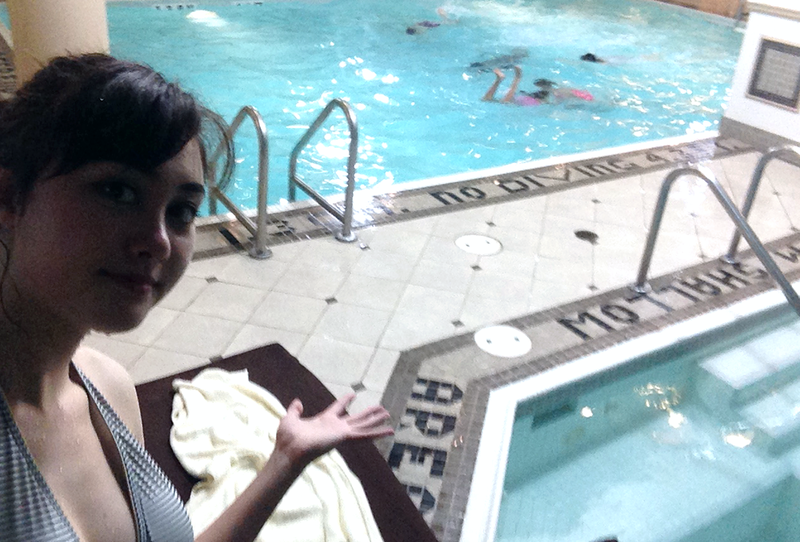 I sat in the hottub for a good while and let my stress melt away… A very much needed jacuzzi session. After that, I went back to the room and crashed….zzzz…. Check out is at noon, so I got to sleep in! A nice change since I had been getting up early for the past two weeks in order to get my blog posts/videos up for you all to watch while I was at Anime Expo! 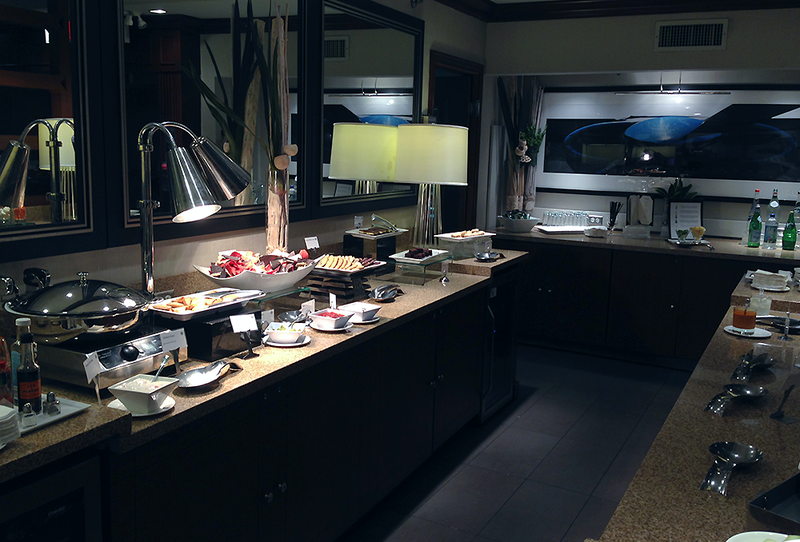 Before checking out, we popped by the lounge for some breakfast. 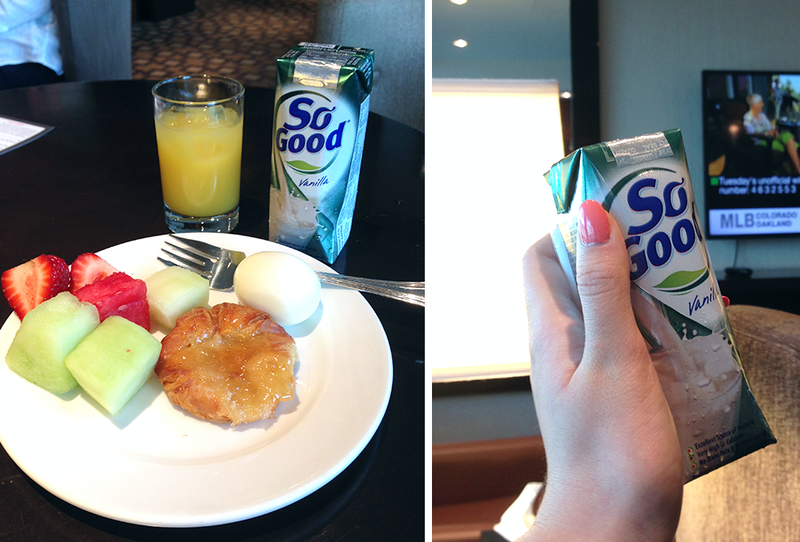 OJ, some soy milk (#loveit), fruit, danish, and an egg. There was so much to choose from! Sat and ate and watched the news. Checked out at about 11AM and headed to Terminal 1 for check-in. Off to LA!! Please look forward to those posts, as there are many more to come! 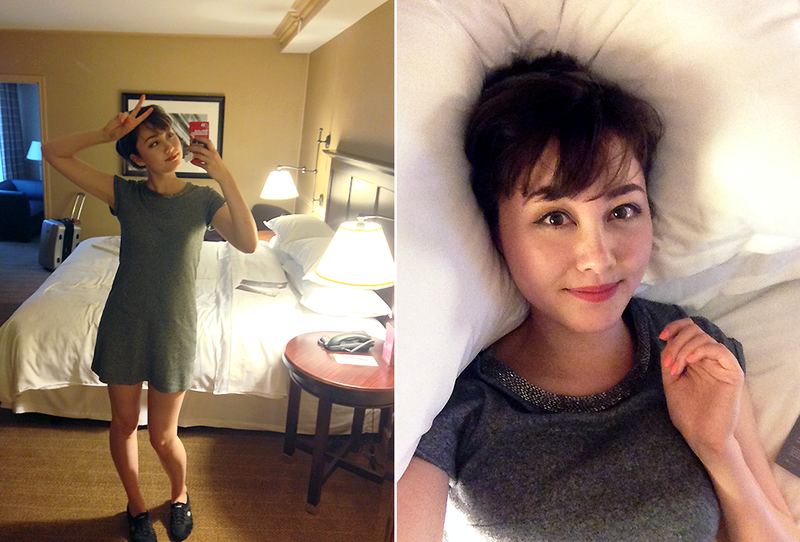 Overall, I had a lovely experience at the Sheraton Gateway Hotel! 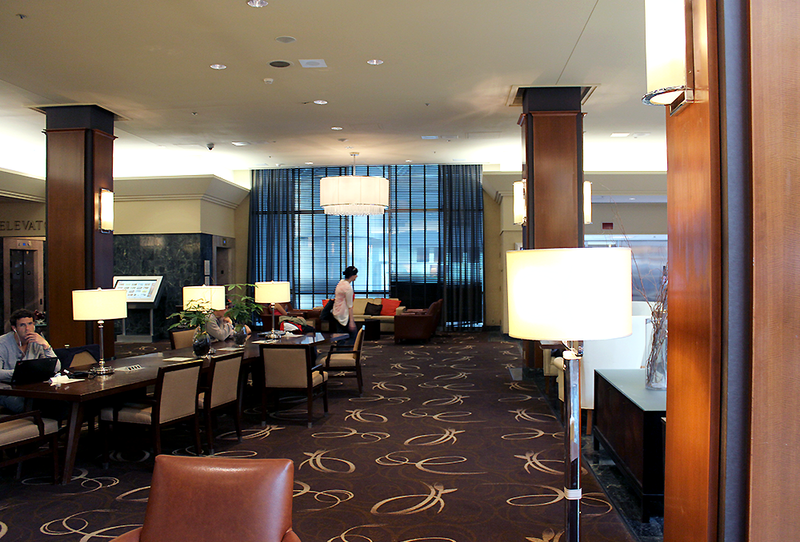 I highly recommend it if you need a place to stay while traveling in/out of Toronto Pearson Airport. 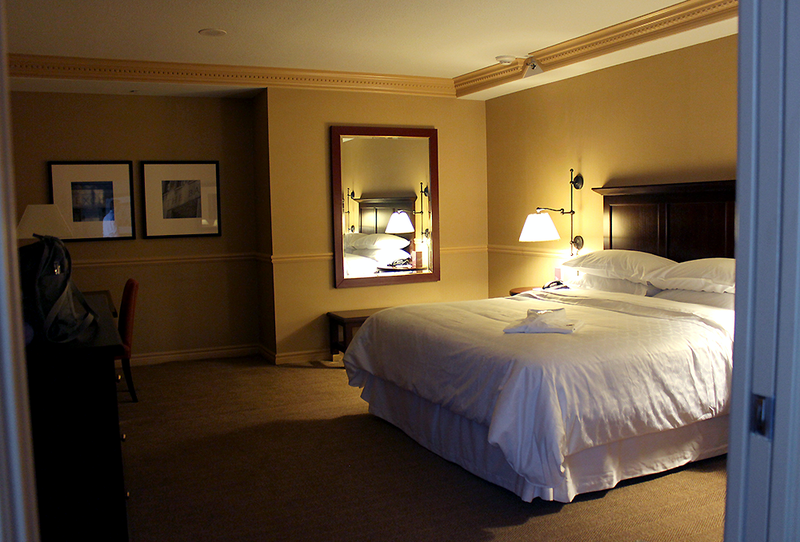 The staff were friendly and helpful, the rooms were clean and spacious, and the location is super convenient! An all around winner, methinks. You can check out all of their details and booking info over at their website, twitter page, and facebook page. 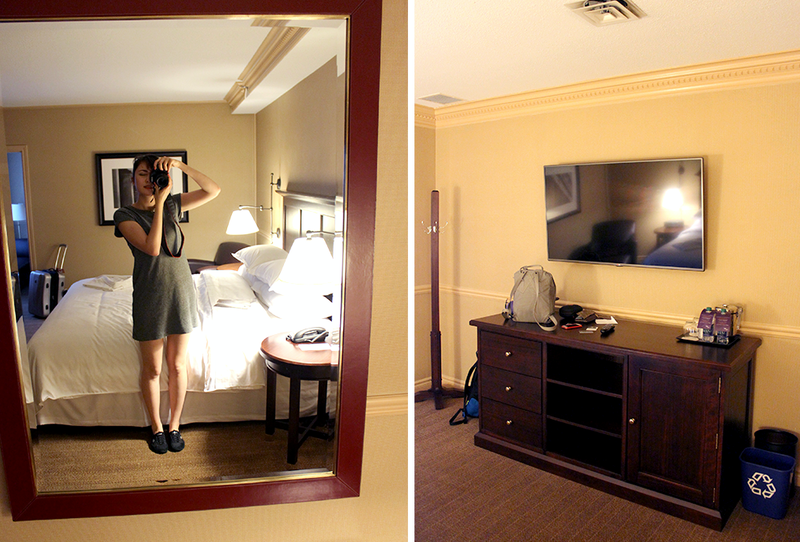 *I was a lucky guest at Sheraton Gateway Hotel for this stay!